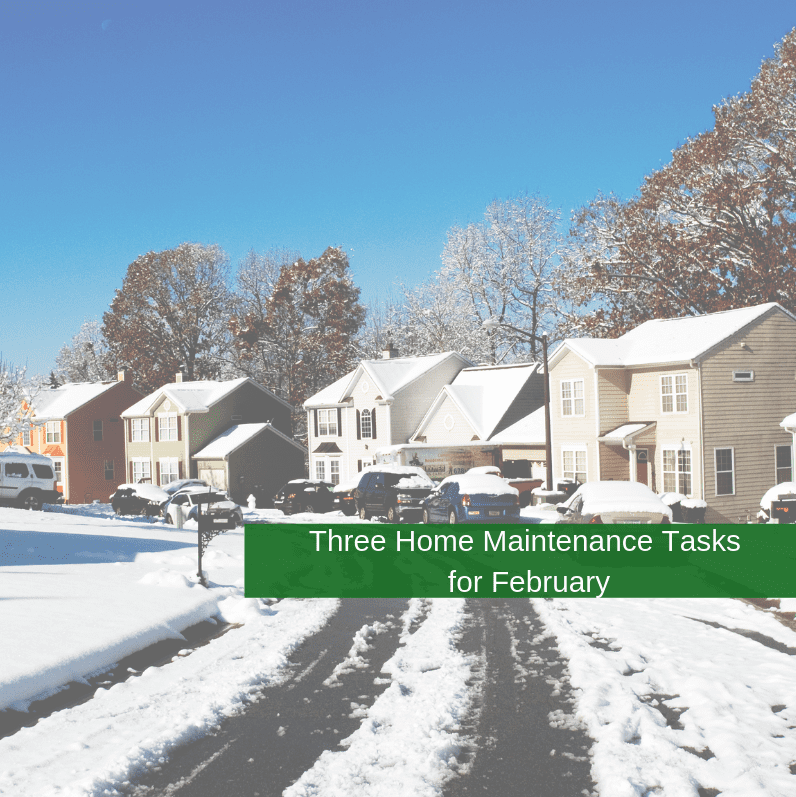 Here are some tasks you should tackle in February to keep your home in the best shape. If you’re familiar with cold winters, that probably means you’re also familiar with road salt and snow getting tracked into your home. This can mean that your entryway floor can get messy fast. Clean up whatever is cluttering your entranceway and then take a mop to the floor to get it shiny clean! To keep your floor clean for as long as possible between mopping, keep an old towel in a basket near the door to clean up any messes or puddles that might happen day-to-day. Cleaning out your dryer vents is very important. Lint and other debris cling to the outside vents, so you need to take time to clean them off. If not, the lint and debris could cause your dryer’s efficiency to decrease, increase your energy bills, and can cause dryer fires. Twice a year, take a leaf blower to clear out this debris. Be sure to cover the outside vents with mesh to ensure birds and bugs can’t get into the ducts. Ice and snow can make your walkways dangerous, so upkeep is a must. Shovel snow as it accumulates, instead of waiting for the storm to be over. This will make for a much smoother and easier shoveling process. Use road salt to melt ice and sprinkle gravel, straw, or wood chips to provide extra traction. If you know a snowstorm is headed your way and you will be out of town, ask a neighbor or hire someone to clear the sidewalk and your front steps while you’re away. Selling your house is an important and time-consuming task. Here is a timeline to follow to help you in the selling process. Two months before listing your home, evaluate your finances and your budget, add up transaction costs and remaining equity, and collect key documents, including your title, survey, mortgage, and insurance. One thing that you should ask yourself is how quickly you need to sell your home. What is prompting your move? Is it a career or job change? Something else? How fast you need to sell your home often determines price. The quicker you need to sell, the lower you’ll have to price your home. Two months before you list your home, you want to evaluate the condition of your property. Tour your home as if you are a buyer. While evaluating your home, look for three types of problems. Cosmetic Problems: These problems can be fixed quickly at a low cost. Issues such as grimy walls should be painted, torn carpeting should be replaced – or removed and the hardwood underneath refinished, and other such repairs. Torn window screens and crooked light fixtures must be fixed, as well as touching up and freshening your decorating. You may also want to soften any strong color schemes in your home to make it more appealing to a wider audience. Functional Repairs and Upgrades: You may be okay with the appliances you’ve been using for the past five or ten years, but a buyer isn’t going to want old appliances if they’re shelling out the big bucks for a new home. Examine the condition of your appliances, plumbing, electrical, heating, air conditioning, and the structural elements of your home. Replacing and repairing these items removes a reason for people to reject the house. Problems You Can’t Fix: There are many things that you can’t change about your home. The location of your home, the neighbors, the school district, all of these things are things that you can’t change about your home. If these damage the appeal of the home, you may have to price your house lower than you were planning to. One month before listing, research the local market and establish the price range for your home. Check the sale price of recently sold properties, which can be found through local property records. You can also have an appraiser come into your home, who can compare the condition of your home to other recently sold homes, adding value for unique features and deducting value for features you don’t have or for worn conditions. An in-home appraising visit can cost around $500. 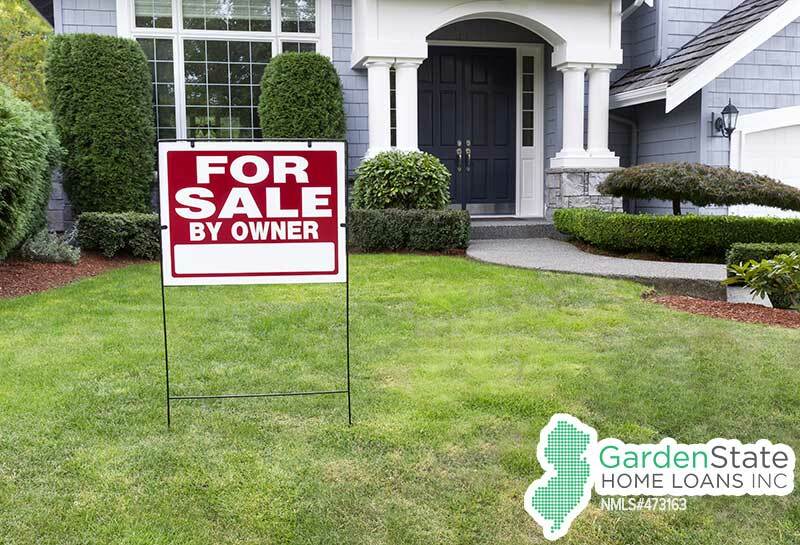 If you are using an agent or sell by owner, you will have to pay the costs for preparing the house for sale, any marketing costs, legal costs, and, if required by the state, transfer costs. One month to two weeks before listing, you want to start getting your house ready. Declutter, clean, and stage your home so that its at it’s best. Declutter and Clean: Clean out anything that will prevent sellers from seeing the actual home. You may want to consider renting out a storage unit for any out of season clothes, decoration, memorabilia, and other such goods. 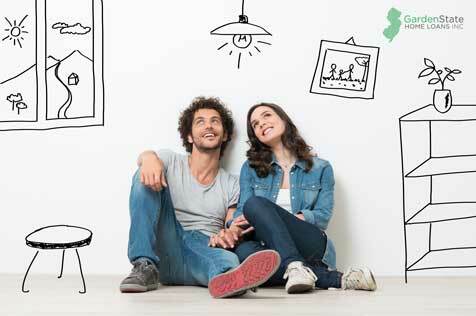 Your house becomes much more spacious with the clutter out of the way! Stage: Staging is a way to create an environment that can help buyers to envision their lives in your home. You can stage using the accessories and furniture you already have. When negotiating an offer, you want to make sure that the buyer actually has the financial qualifications to purchase your home and negotiate your terms. If you can justify your asking price with current market research, you are in a strong position for negotiation. You still might want to hire a lawyer to help with negotiations. The lawyer can also advise you on the requirements of your state and municipality. When selling your home, it’s hard to get the deal you want. Here are some tips that can help you negotiate your way to the best deal. You always want to be in charge of the situation when selling your home. If you have a deadline, don’t mention it. If you are behind on mortgage payments, don’t let your buyer know. If the buyer knows about these situations, it gives them unnecessary leverage during the selling process. Silence shows self-control. If a buyer is throwing offers or terms that seem ridiculous, the silence may cause them to rethink their choices on their own. However, don’t be silent in situations where the buyer is being fair and respectful. In these cases, the buyer can take the silence as a sign of disrespect and may cause them to move onto another opportunity. Working with your bank can help reduce pressure, especially if you’re behind on mortgage payments, or if you can’t afford the current payment. If you can come up with a plan to make a payment as soon as possible, they are more likely to offer you an extension on your payments until you sell your house. Renovations on your house can help improve its appeal, but once the house is shown to a potential buyer it pretty much sells (or doesn’t sell) itself. Buying a home is an emotional decision, so if people don’t feel connected to a home, they won’t buy it. During a walk-through, try not to be too talkative unless someone asks you a question. It can be beneficial to remove yourself from the situation entirely, and in some cases, letting the agent take over. By doing this, the buyer is able to connect with the home on a more emotional level. Bidding wars are exciting because it means more than one party wants to buy your home! It’s difficult to fabricate a bidding war, so instead of trying to fabricate them, many people find success by refusing to accept offers until a certain date. At this point, when someone finds out that another person has made a higher offer than them, they might work up an even stronger bid. Like most major sales or purchases in life, it’s not a sure thing. If you’ve struggled to get an offer or if the housing market is poor in your area, don’t hold off with offers. Work with what you get as they come, and you can negotiate with the buyer directly. You can also make a counteroffer if you receive a lower offer. With this, you know that the buyers are already interested in the house and you may be able to come to a mutual agreement. Just as a buyer will have a buyer’s agent, a seller should have a listing agent who represents the property. You should be comfortable enough letting them take the lead in negotiations to get you the best outcome. Realtors know the current market conditions and can negotiate with those conditions in mind. You can negotiate prices until the cows come home, but it’s also important to make sure the buyers have the correct financing in place so they can make good on the offer. In addition to price, sellers and buyers can make plans about repairs that need to be made on the home, who will pay the closing cost and the settlement date. If you are having trouble coming to an agreement on an issue, try making a concession on another topic to help push the deal along. It may be tempting to wait it out and see what other offers come in, but that might not be the best situation. Often times, the first offer is the best offer. If the offer happens to be close to what you were asking for, don’t make a counteroffer so the buyer doesn’t have time to rethink their offer or lose interest. Take what you can if it’s close enough to your asking point. Once you know your bottom line in terms of profit, and other such details, you can move forward with the transaction. Internet searches: When looking online, run keyword searches to narrow down your results. You can also look at websites like realtor.com. These types of websites have listings of profiles from agents all across the nation. Open houses: When at an open house, the agent hosting it may or may not be the listing agent. All you have to do it ask. Open houses are a great opportunity to talk to the agent and learn more about them. You can ask for a business card and look up their website later when doing a little recon. Should you sign an exclusive agreement? The words “exclusive agreement” may be nerve-wracking to some. However, there are a few things that you can do to make this process a little less daunting. Ask for a shorter term. Many agents might request a 90-day term. You are free to ask for a 30-day term, or whatever you can negotiate. Request a non-exclusive agreement. This may seem a little redundant for an exclusive agreement. What this means is if you decide to switch agents mid-way through your home search but end up buying a home that your first agent showed you, your first agent gets compensation. With this, both parties are protected: the agent is protected by establishing a procuring cause and you are free to pursue any opportunities that come your way. Grab a Cup of Coffee. If you don’t know how you’ll work with an agent, suggest getting to know each other first before signing an exclusive agreement. That way, you get to know the agent a little better and can see if you’ll work well together. Afterwards, if you believe the working relationship will be conducive, you can sign the agreement with a little more confidence. Specify areas and terms. If you’re unsure about where you want to move, specify certain terms in your contract. For example, you can specify a price range and a neighborhood for a certain agent. If you decide at a later point to search outside of those restraints, you can choose a different agent to show you those new locations. Signing an agreement is not necessary. You should wait until you’re totally comfortable with your agent if you decide to go ahead and sign an agreement. Make sure you know all the terms and that they will work for you through each step of the buying process.